Rich Wyld is an Anglican priest with a PhD from Durham University in theology. 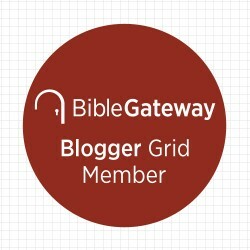 He is the brain behind the Theologygrams blog where he has created hundreds of ‘theology diagrams’ which describe the world of the Bible, theology, church history, ethics and life in the church. With Vin diagrams, pie charts, tables, graphs and just a bit of cheek, helps us visualize the world of theology. Theologygrams: Theology explained in diagrams (IVP, 2017, previously published in the UK by Darton, Longman & Todd) collects a number of Wyld’s reflections on the Old Testament, the Gospels, the rest of the New Testament, the Life of the Church and Theology. Wyld has a gift for being silly without being wholly irreverent. He describes this as “quite a silly book about some quite serious stuff” and says his “intention is never to mock or belittle God, theology, the Bible or the Church” (4). So this isn’t a book making fun of faith, though Wyld does give us a fair share of good-natured ribbing. C. Christopher Smith is the editor of The Englewood Review of Books, an online and print journal which showcasess valuable resources for the people of God. Another site Smith, curates is Thrifty Christian Reader, a website which catalogs quality sale books—mostly Kindle, mostly Christian—which explore culture, theology, sociology, justice, ecology, poetry and literature. His own books also promote the kind of thoughtful Christian engagement he highlights online. Notably, Slow Church (IVP, 2014), which he co-authored with John Pattison, is a prophetic challenge to the way churches are sometimes co-opted by the dominant cult of speed and efficiency. Smith and Pattison point us instead to honor the terroir of place, cultivate community, and ways for the church to be a faithful presence and witness to God’s in-breaking Kingdom. For a church to transform a community it is imperative we learn to read well. Earlier generations of Christians were sometimes called ‘the people of the Book.’ A good part of Smith’s influence has been about helping us to, again, be the people of the Book. In Reading for the Common Good: How Books Can Help Churches and Neighborhoods Flourish, Smith points out the crucial place reading (in community) has for shaping our identity and practice of God’s people. In his introduction, Smith helps us to conceive of church as a ‘learning organization,’ with learning and action as central components of our identity. We can have a significant impact on our communities as we understand our context and discern effective ways to act and then act(16). Learning and acting form a cycle which helps us live out the compassionate way of Jesus for our neighborhoods and communities (18-20). But this sort of reading is a communal, rather than individual activity. The practices of reading and conversation are vital for the process of transforming our social imagination. Part of human experience is imaging how the world should function. The question is what stories are feeding and shaping the imagination? Reading renews and energizes our social imagination. For our churches, reading and embodying Scripture is the foremost source of renewal, but renewal comes from reading reflecting on and discussing a broad range of works in the life and teaching of Jesus (51-52). The next six chapters explore the way reading shapes our social imagination and paves the way for communities to flourish. Chapter three explores how reading the Bible in communion with other believers helps shape us into “the image of Christ, the Word incarnate” (55). While the Bible remains central, reading other books communally (and in a cruciform way!) is also beneficial for making sense of the world and our place in it (59-61). Chapter four discusses the role of reading in helping communities and individuals understand their vocation. Chapters five and six discuss how churches can read with their neighbors and neighborhoods. Churches can be (or support) libraries which preserve the shared memory of place and provide resources for the community. Churches can also become centers of education which promote literacy and understanding. The telos of this is a greater civic literacy and engagement in the community. Our reading also promotes a better understanding of our neighborhood place in the economic, environmental, educational and civic realms (103-107). Chapter seven discusses how reading connects us to our world, creation and other churches and chapter eight discusses how reading can support our faithful engagement in the realms of politics and economics. Smith’s final chapter discusses ways to help congregations become reading congregations, with examples from Englewood Christian Church (the faith community that Smith is a part of). 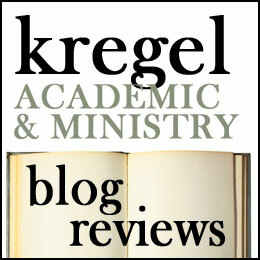 The book closes with two reading lists: Recommended Reading for Going Deeper and Englewood Christian Church Reading List. Smith is an avid reader and this is a book about how reading well (in community) can help churches and neighborhoods flourish. So this book will make you want to read other books. Lots of them. Smith promotes helpful books throughout and he himself has been shaped by his reading of such luminaries as: Charles Taylor, Alisdair MacIntyre, Wendell Berry, Peter Senge, Marva Dawn, Gerhard Lohfink, Mary Oliver, and more. I think it is impossible to read through this book without discovering new literary treasures (or at least places to dig). My wish list grew exponentially from reading this. Note: I received a copy from the author in exchange for my honest review. One of the theology profs at my grad school used to say something like, “All the new heresies are the old heresies with fresh make up and a mini skirt.” Leaving aside his troubling gendered association of apostasy, his point is a good one: there is nothing new under the sun, there are simply variations of an old theme. This is demonstrated in The Earliest Christologies: Five images of Christ in the Postapostolic Age. James Papandrea, associate professor of church history at Garrett-Evangelical Theological Seminary, explores the various views of Christ in the second and third centuries (before Constantine and councils). Some thinkers in the area were Adoptionists, denying the divinity of Jesus; Others were Docetists, denying Christ’s humanity. The middle position was Logos Christology—affirming Jesus Christ’s full divinity and humanity and paving the way for Nicea and Chalcedon. Papandrea explores five images of Christ in the early church. He distinguishes two different types of adoptionists: Angel Adoptionists and Spirit Adoptionists. The Angel Adoptionists held that the human Jesus was rewarded by God for his perfect obedience and given an indwelling angel. This happened proactively at the moment of his conception because of God’s foreknowledge (25-26). Thus they accepted the Virgin Birth but neither the man (Jesus) or the indwelling angel (the Christ) were considered divine (27). They accepted the gospel of Matthew as canon and prominent teachers include the author of The Shepherd of Hermas and Lucian of Antioch (Arius’ teacher) (29-30). With this Christology, salvation is based on merit and human effort (31). Little is known about the actual lifestyle of the Angel Adoptionists (31). Most adoptionists were Spirit Adoptionists, believing that Jesus became the Christ through the anointing of the Spirit at his Baptism (35). This gave Jesus power to perform miracles in his ministry; however the Spirit withdrew at Jesus’ passion (35). Thus the union of human to God was temporary, focused on the concept of anointing rather than indwelling (35-36). They likely used an edited form of Matthew’s gospel, excising the birth narratives (39) The Spirit Adoptionists affirmed the preexistence of the Spirit, safegarding Jewish monotheism by removing Jesus from the realm of divinity (42). Jesus was just a man filled by the Spirit, and as such not unique (36). Adherents of Spirit Adoptionism included Theodutus the Elder, Theodutus the Younger and Paul of Samasota (36-37). As with the Angel Adoptionists, Spirit Adoptionists were ‘optimistic about human nature’ advocating strict adherence to the Jewish law (41). This manifested itself as a strict asceticism among adherents, vegetarianism and the use of water at the Eucharist (43). The Docetists were also (broadly) of two types: those that denied that Jesus had a body at all (Docetism and Docetic Gnosticism), and those that thought Jesus had a “ethereal” body which appeared human (Hybrid Gnosticsm. Hybrid Gnosticism (or quasi-docetism) developed somewhat later, possibly in conversation with the mainstream church and a concession that Jesus did seem to actually have a body (70) Both forms of gGnosticism demeaned matter in favor of the ‘spiritual,’ though in practice it manifested itself differently. Those who thought that Jesus’ body was an illusion, denigrated their bodies as evil and practiced asceticism (64). The Hybrids were more hedonistic, though possibly no-more than Roman society at large (82-83). Neither type of docetist believe in Jesus humanity. Thus he has no birth, or resurrection. Jesus was simply the offspring of gods in a polytheistic pantheon. Logos Christology, as the middle way between these alternatives, refused to allow either of Jesus Christ’s two natures to be diminished. Logos Christology embraces a full divinity that is preexistant and a true humanity with a real human body. This is a hristology of descent because the divine Logos starts out in the dine realm as equal to the Father and descends to humanity to take on our human condition (Phil 2:6-8). Furthermore Logos Christology refuses to separate Jesus from “the Christ” as though they were two separate entities, but rather consider the whole incarnate Jesus Christ as one person. (88-89). Thus Logos Christology affirms Jesus humanity and that he is the divine Son of God, his bodily resurrection, his virgin birth, his incarnation. The practical payoff of this view is a belief in the doctrine of grace, and Christ’s atoning sacrifice, resurrection and the dignity of creation. Rather than legalism or a strict asceticism, Christians could have a more balanced approach to their bodies and matter (104). Papandrea’s final chapter explores why Logos Christianity won, instead of these other alternatives. But he also show how these early heresies had a legacy. Adoptionism evolved into Arianism in the forth century (119). Docetic Gnosticism paved the way for modalism (120). In his final pages he observes the modern forms of Adoptionism and Doceticism (125-127). Modern day modalists and practical docetists in the church, continue to deny the dignity of embodied life. Adoptionism is seen in contemporary scholarship that draws a strong distinction between “the historical Jesus” and the “Christ of faith” (125). Old heresies remade for today. Papandrea has produced an accessible guide to these early Christologies. It is an introductory overview, so could certainly be more detailed at points; yet Papandrea does give a good analysis of the controversies and the implications for sotierology and anthropology. This would be a good supplementary text for a systematic or historical theology course. It also has the advantage of describing the significance of these histories for today. As a pastoral leader, this book clarified my understanding of the roots of contemporary issues facing Christology in the church. I give this four-and-a-half stars.